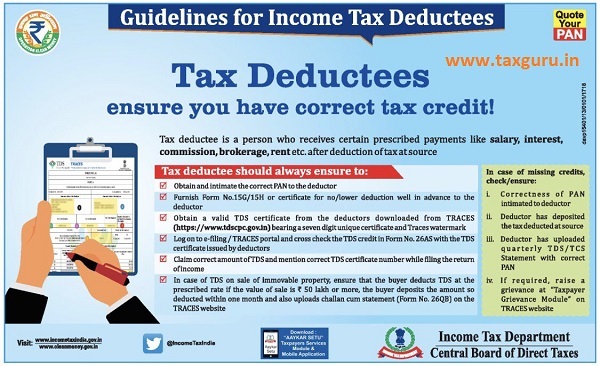 Guidelines for Income Tax Deductees- ensure you have correct tax credit! Guidelines for Income Tax Deductees- ensure you have correct tax credit! Guidelines for Income Tax Deductees- ensure you have correct tax credit! ensure you have correct tax credit!